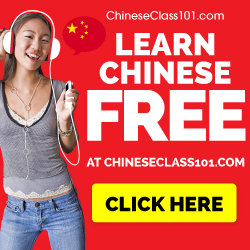 Last week, I wrote an article about how to learn to hear the tones in Mandarin. In my opinion, that’s a very important question. 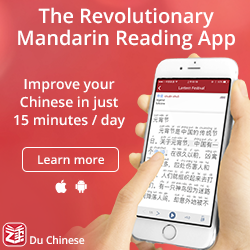 The most obvious reason is that understanding spoken Mandarin becomes very hard if you don’t hear the tones. In addition, it’s also true that it’s impossible to be able to pronounce something correctly and consistently if you can’t hear the difference yourself. The problem is further aggravated by the fact that this is almost never taught in classrooms. Pronunciation in general is overlooked, but the listening part (identifying sounds) is even more neglected. Some students are good at this and pick up new sounds easily. But what about the rest? Are they just supposed to accept that it’s too hard and either stop learning or accept that their listening comprehension and pronunciation will suffer? Of course not! The problem is that there is no good way of systematically hearing the tones, especially not if you don’t live in a Chinese-speaking environment. Even if you do, your input is likely to be too random and unpredictable to help you much (unless you belong to the group who can easily pick up sounds and tones, of course). The goal with my thesis research is to fix this problem, or at least take a significant step in the right direction. 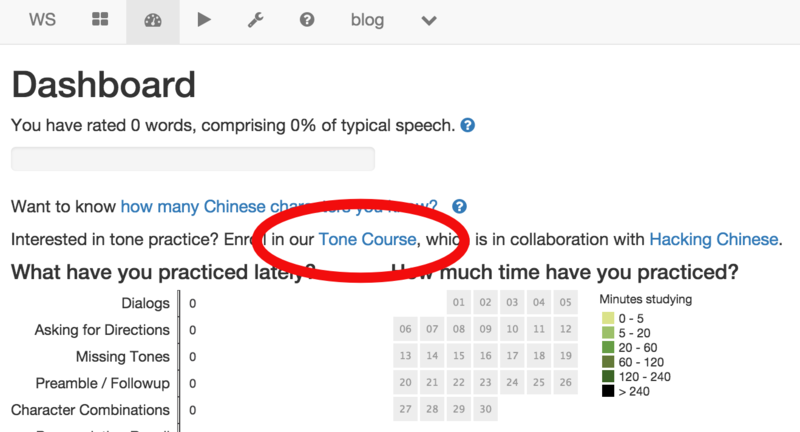 Thus, I hereby announce the opening of the tone training course, presented in cooperation with Kevin Bullaughey through the language learning platform WordSwing (more about this below). *If you are in China, you might need a VPN. 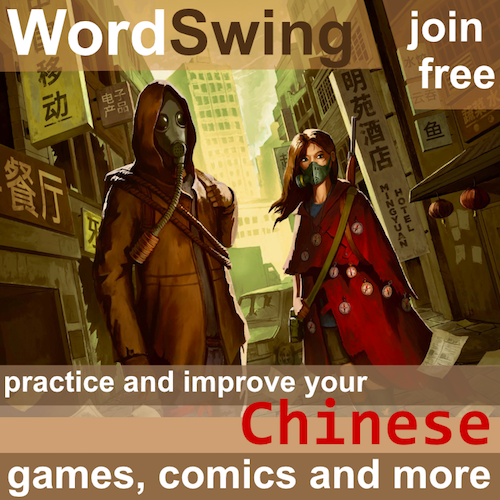 WordSwing offers different kinds of language practice, but while you are free (encouraged) to check out the other parts, the tone course is what I’m talking about here. You can always find the course progress overview by following the above link. If you have any questions or if anything doesn’t seem to work properly, please contact me or use the built-in contact function in WordSwing. This is what the course interface looks like, but you will be introduced to it more properly later. The whole course takes 2-5 hours, depending on how quick you are. This time is spread out, though, so each session isn’t that long. Also, learning to hear the difference between tones takes time, so you every minute you spend takes you closer to that goal! Think of it as doing push-ups: it might not be the most entertaining activity you can think of, but it will build strength if you keep it up! 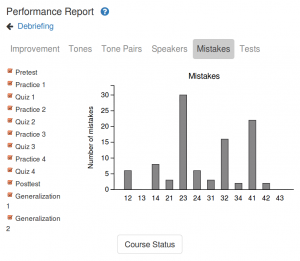 The course only consists of listening exercises, but research also shows that this type of training improves pronunciation too, even if you don’t practice it during the course itself! Becoming better at hearing differences between tones makes you more likely to notice them and will improve your own way of pronouncing them. I would also like to say that I realise that this is not the ultimate tone-learning tool. There is much to improve. For example, once we have shown that this works well, we should add tone pairs. We might also want to make the course more interesting and fun. However, we have to start somewhere. Additionally, since this is a scientific experiment, we can’t do too many fancy things at once, we need to take it step by step and improve gradually. I hope you’re willing to help! Thank you. I’m guessing you hear that quite often. I wish I had read all of your wonderfully insightful articles years ago. This is a truly fantastic resource. 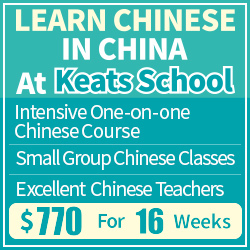 I am wondering what I can do once I have completed this course. I need something to practice tone combinations. I read that the tone changes depending what it follows. 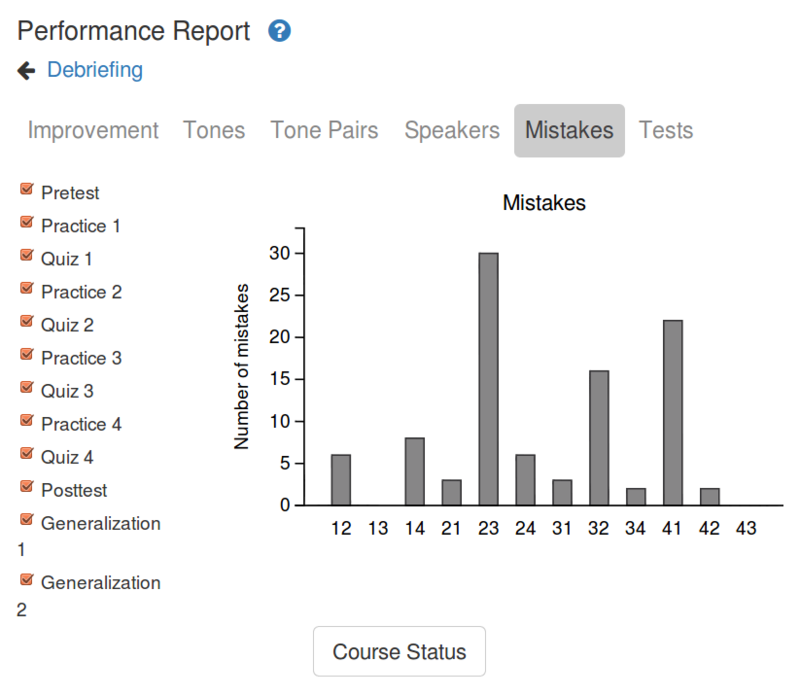 Loving the course, please definitely add tone pairs! The way it works now is great but it needs pairs to bring learners to the next level. Definitely needs to be more difficult. 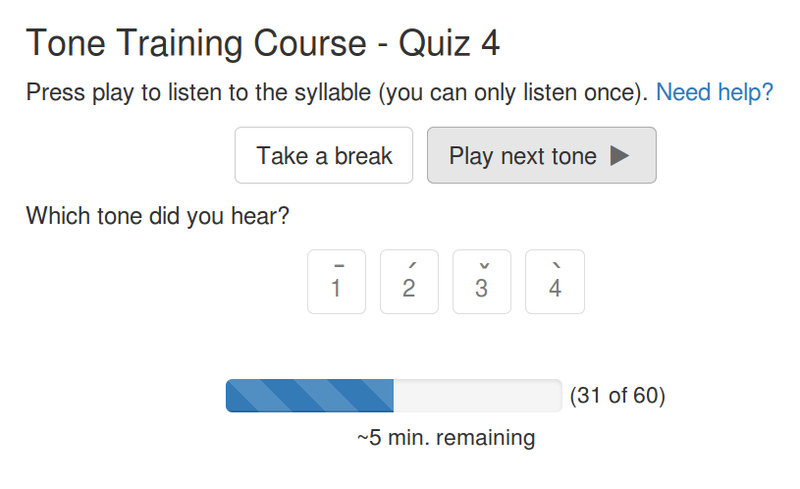 I scored 97% on the pre-test but it doesn’t mean I am good at hearing tones – only that I find it easy when someone says a single syllable quite slowly. In real world situations, for example someone saying a two-syllable word at normal talking pace, I really struggle with determining the correct tones. I find tones 2 and 3 the hardest to differentiate from each other.